If you have a website, you naturally want it to rank well with Google and other search engines. Backlinks are one of the best ways to drive traffic to your website or content, but they can also have an effect on how well your site ranks. Good backlinks will improve the ranking, and bad ones will hurt it. There are a lot of things that determine whether a backlink is good or bad, and the geographic location of your backlinks is one of them. Backlink GEO is basically the place where the servers of the person who posted the backlink are located. For example, if you decide you want to post a backlink on a website and your server is located in China, the backlink GEO would read as China. A lot of people use servers from different locations, so even though they may be posting backlinks from the United States, the backlink GEO would still show up as a different location. This can cause a lot of problems in terms of ranking. Why Does Backlink GEO Matter? It is important to make sure that your audience is local. If you are creating content that is targeted at people in Canada, the majority of the backlinks to that content should also be from Canada. When Google and other search engine sites see that the locations do not match up, they look at it as cheating and penalize the website the backlink goes to. Even if the backlinks are legitimate, Google will only see them based on the locations of the servers. Can Bad GEO Backlinks Really Hurt My Rank? Yes, search engines scan over backlinks regularly to make sure they match up to the right locations. Google will display results based on the location of the person doing the search. The way Google sees it, a person living in the United States would be more interested in cookie recipes from the United States than cookie recipes in Mexico. It tries to display results based on what the user is looking for. So, if you are trying to rank higher in the search results in the United States, it isn’t a good idea to have backlinks that come from servers located anywhere else in the world. How Can I Fix Bad Backlinks? If you have backlinks that are directing customers to yourself in a different country or location, you should remove them. This might mean that you miss out on some page views, but it could help you get more traffic that matters. It can also improve your rank. It’s not always easy to find the bad backlinks, so you should do a check often to find out where your traffic is coming from and which servers are being used to direct that traffic to you. What If I Want to Use Servers with a Different GEO? There are programs that can hide the GEO or cover it up and make it look correct. Google is sometimes able to see through these programs, and some search engines even penalize websites and articles if they use such programs. Some sites have coded locations and can be hosted from anywhere and the location never changes. These programs are good for people who are using hosting from other countries but are getting legitimate backlinks. If you have found that there are a lot of bad GEO backlinks to your site, you can either remove them or ask Google to disavow them. That means that when Google ranks your site, it will not take these backlinks into consideration. This could help or hurt your rank, depending on views. If a majority of your backlinks are from different locations, it may be easier to just delete them all, change servers, and create new backlinks that have a matching GEO. Just like backlinks from the wrong are can hurt your rank, geotargeting can help. Geotargeting is the process of aiming your article to apply to a certain location. This will make it easier for people in this location to find your site and help improve your rank based on searches done that include the location name. You can also build backlinks this way, so they are coming from legitimate and local sources. Geotargeting is a great way to help improve the rank of your website and increase traffic to it at the same time. One of the ways people hurt their rank is by buying backlinks from other countries. These backlinks may be advertised as geographically wise backlinks, but when it comes down to it, they are coming from servers that are located elsewhere. If you don’t go back and check your backlinks, you won’t know if they are good or bad. 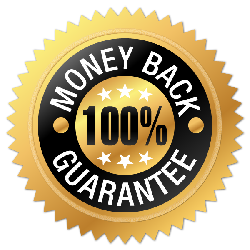 If you intend to buy backlinks, make sure you do so from a legitimate company. Does the Domain Name Matter? If you are hoping to improve your ranking in a specific geographical area, it is a good idea to have a domain name that matches that area, such as .uk or .ca. People prefer to see search results that match the area they live in or a specific area they are searching for. When your domain name matches these areas, your website is more likely to rank higher in them. This can also improve your overall rank. You should always assume that geography matters when it comes to backlinks. If you are confused about how to use backlinks or how to ensure that your backlinks are helping your search engine ranking, keep these three things in mind. Audience – Know your audience and make sure your backlinks matchup to the area your audience lives in. If you are creating content that is to be read by people in the United States, but your backlink should be connected to sites with servers in the United States. Check Backlinks Often – Make sure you check your backlinks regularly and remove any bad ones. You can’t always control where your backlinks come from, but you can go back and review them often to make sure as many are coming from good sources as possible. Disavowing – If you find that a majority of your backlinks are coming from servers in other countries, you can choose to have Google and other search engines disavow them. That means they will not be considered when Google decides your rank. Remember, this can sometimes hurt your ranking more than help it.